PORTICO's student ministry has a passion to develop Christian character and perseverance in our Jr High and Sr High students. We provide fun and engaging environments where students can invite their friends and experience Jesus in a passionate and challenging way! Youth in Gr 6-12 meet every Friday night from 7-9 pm. For more info, please email Pastor Daniel at dclarke@porticocanada.ca. Jr High students in Gr 6-8 meet together on Fridays at 7-9 pm and Sundays at 10:10 & 11:40 am. Sr High students meet every Friday from 7-9:30 pm. Sr High students in Gr 9-12 meet together on Fridays at 7-9:30 pm. Young Adults ages 18-25 meet together on Sundays at 6-8:30 pm. 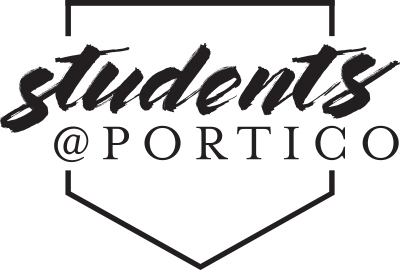 Click here for Students@PORTICO events. For more information please email students@porticocanada.ca.